Laivu Centrs restaurant is a small green oasis in the city center of Riga. 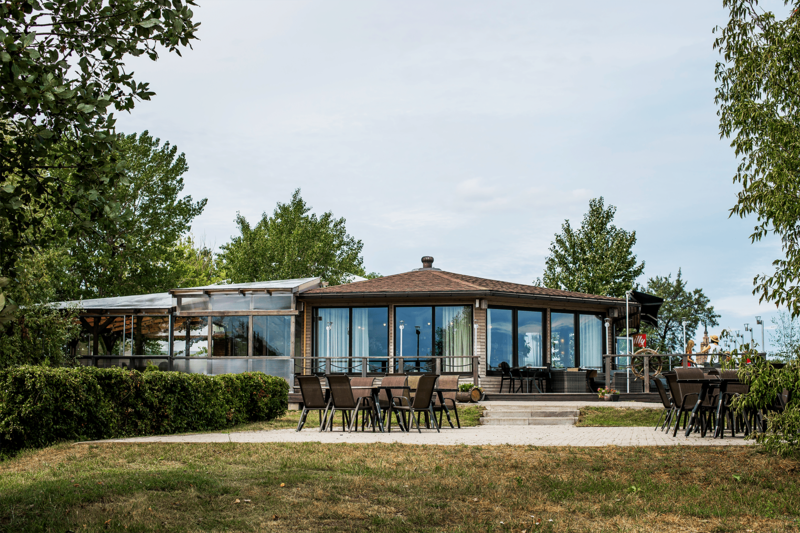 We lay on the banks of river Daugava and are a part of Laivu Centrs marina on Zvirgzdu peninsula. Our restaurant’s kitchen is based on modern European cooking style, but we do not forget about the comfort food that is very popular in Riga. The main influence on our menu has come from a newcomer Dinars Zvidriņš, who has joined our team in 2017. Before starting as a chef here, he won competition organized by Reaton receiving a title -Chef of the year 2017 in Latvia. Since then he has won the competition for the second time, being only the second chef who has won twice. Since he joined our team, the menu has become more advanced, he is still using French classics as a base for the recipes but adding unique Asian flair to the dishes. The view from the windows has been the main attraction for our clients for years, but in recent years the quality of food has put the view in second place.